This beautiful recipe was created by my very talented sister in law Angelina of Sugarbakes! Check out her Facebook page for more photos of her creations then try this yummy recipe! 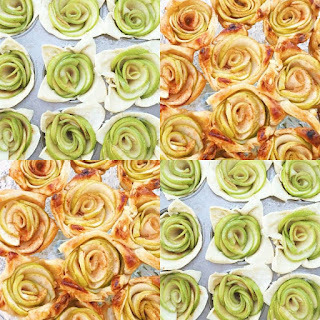 Cut apples in half, cut each half into very thin slices and arrange on a sheet pan. Squeeze lemon juice over the tops, sprinkle with sugar, pinch of salt and cinnamon. Let the apples stand aside to soften while you prepare the puff pastry--Spray a cupcake tin with non stick spray. Cut puff pastry into 12 equal pieces. Roll out each corner of the square just to stretch out slightly. Arrange each square into muffin tin, slightly pressing into the bottom. 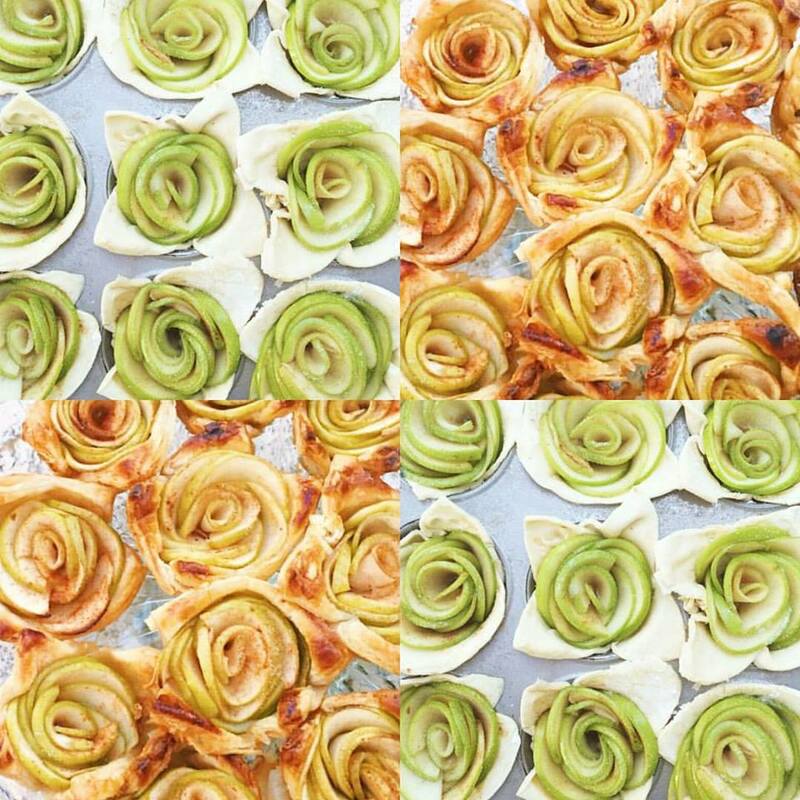 Place a dab of butter with a teaspoon of brown sugar and a pinch of cornstarch in the bottom of each cup and set aside--To make the rosettes, arrange about 10-12 slices of Apple, overlapping each other in a straight line. Roll from one end to the other, wrapping around to form a rose and place into tins. Egg wash edges of pastry. Bake at 425 until brown, puffy and bubbly!